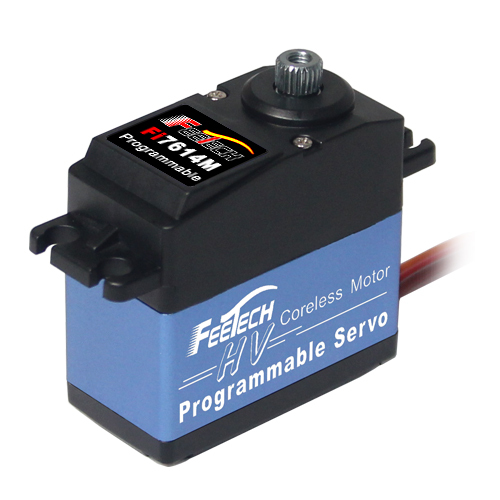 Fi7621M Feetech servo for rc model airplanes - Fully programmable, ultra high torque and fast digital servo with coreless motor, double ball bearing, titanium gears and aluminium middle hull. High Voltage servo (5 - 8.4V). Programmable: direction, speed, torque, center, end and fail safe point, resolution etc. This servo can also be used in 6V systems. It is also a perfect servo for flaps (slow movement) or retracts. 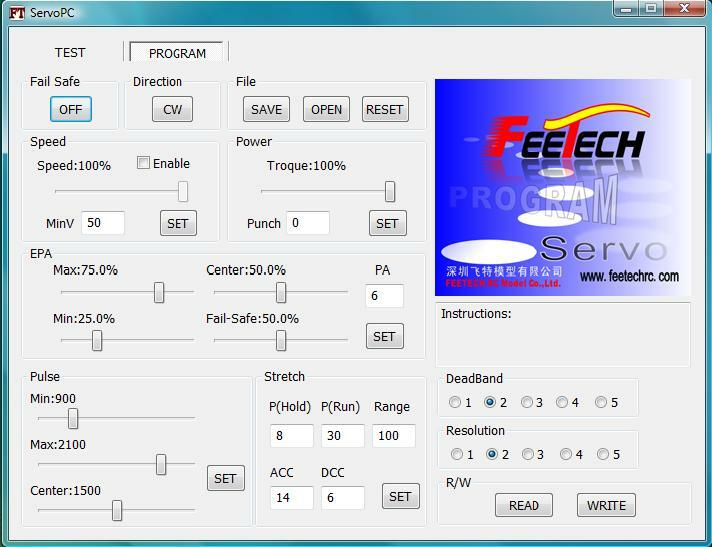 The servo is programmable using a PC program. The screen snapshot below gives a proper indication of the pragramming features.